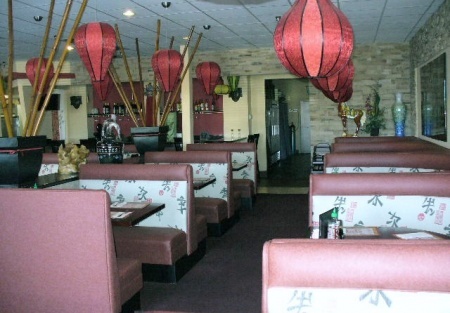 This newly designed and remodeled Chinese restaurant is located in the retail center on a high traffic corner in South Placer County. It is a new upscale fashion fine dining restaurant with a great looking wine bar serving Beer and Wine. It seats up to 110 guests. Kitchen is easy to maintain with state of the art equipment. Restaurant has about 3,100sq/ft with a base rent of only $5,941 plus CAM charges. In South Placer county this rent is almost unheard of. The lease expires in October 31, 2009. Seller states gross revenue about $30,000 a month and the food cost is 28%. Seller must sell this location because managing two restaurants proved to be too difficult. Please select the orange button below to get the name and location. Please sign the Confidentiality Agreement for business name and address (如果你已經是豋記客戶，請按橙色指引�Sign Confidentiality Agreement� 再按同意保密，你馬上可以得到商戶名字和地址).This is a Paramount Restaurant Brokers, Inc. DBA SellingRestaurants.com listing. Absolutely turn key business location waiting for you. Gorgeous interior design totally differences then other Chinese restaurant. Nice looking bar serving beer and wine. Unique decors dinning room able seats up to 110 guests. Kitchen is easy to maintain and fully equipped. Parking lot has plenty of space and conveniences ingress. Restaurant occupied 3100sq/ft in high traffic retail center. Reasonable base rent is $5941 per-month plus CAM. Lease will expire in October 31, 2009. Gross revenue about $30,000 a month and food cost about 28%. Seller couldn�t too tired manage two restaurant at the same time.